International Airports in India – Airports in India are managed by Airports Authority of India (AAI). It works under the Ministry of Civil Aviation and it is responsible for creating, upgrading, maintaining and managing civil aviation infrastructure in India. It provides Air traffic management (ATM) services over Indian airspace and adjoining oceanic areas. 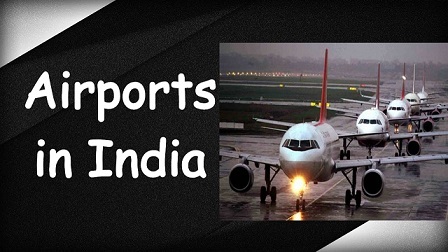 Here is a list of Important International Airports in India which will help you in exams like UPSC, BPSC,SSC MTS.SSC CHSL, SSC CGL,Railways and other Banking Exams like IBPS, RBI, SBI Clerk etc.